5 Stars – that is how good the experience was at Mar’sel. The View – Spectacular, calming, tranquil. 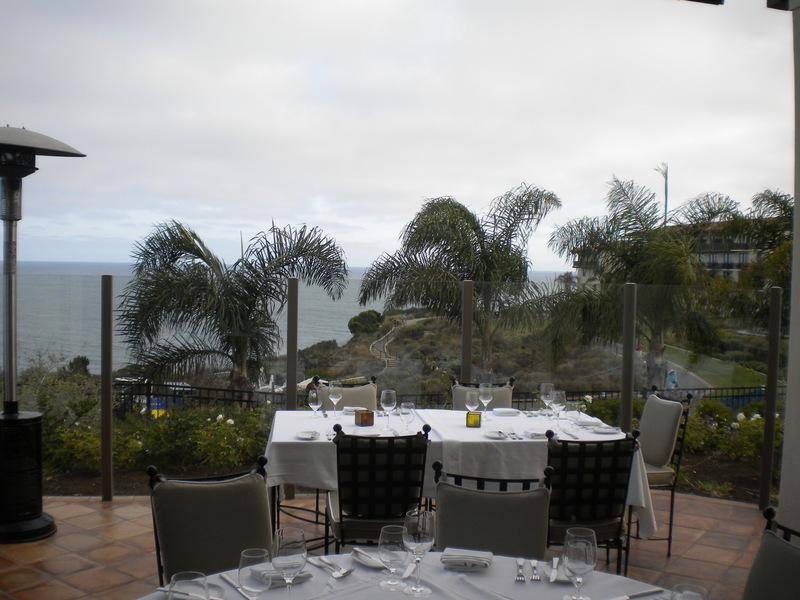 Nestled in the Palos Verdes Peninsula, inside the La Terranea resort, Mar’sel offered an unobstructed, breathtaking view of the Pacific ocean in a serene setting that made one forgets all of life’s worries for that brief amount of time. Definitely reserve a table at the outside patio area, it will make you feel like you are one with nature, while enjoying the unparalleled service and atmosphere. I felt so absolutely at peace while I was looking out at the magnificent scenery and enjoying my “English Muffins”. These were the best “muffins” I have ever had. 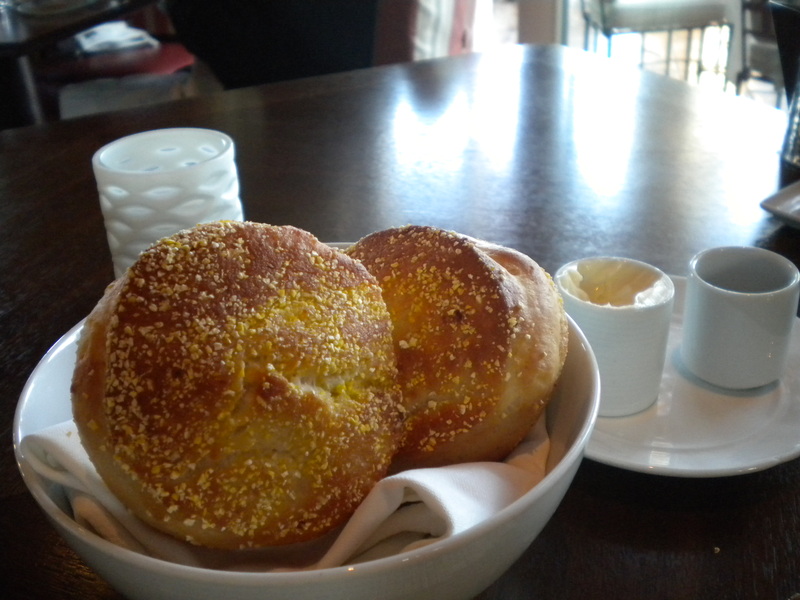 Warm, pleasurably soft, with tiny bit of crunch on top and bottom of the crust, it was more like a muffin bread hybrid, so incredible that I ate both of them right away with the unsalted butter served on the side. Fortunately for my eating companion, we were able to get more. The Service – Wonderful, professional. The service staff was one of the best group I have encountered so far. 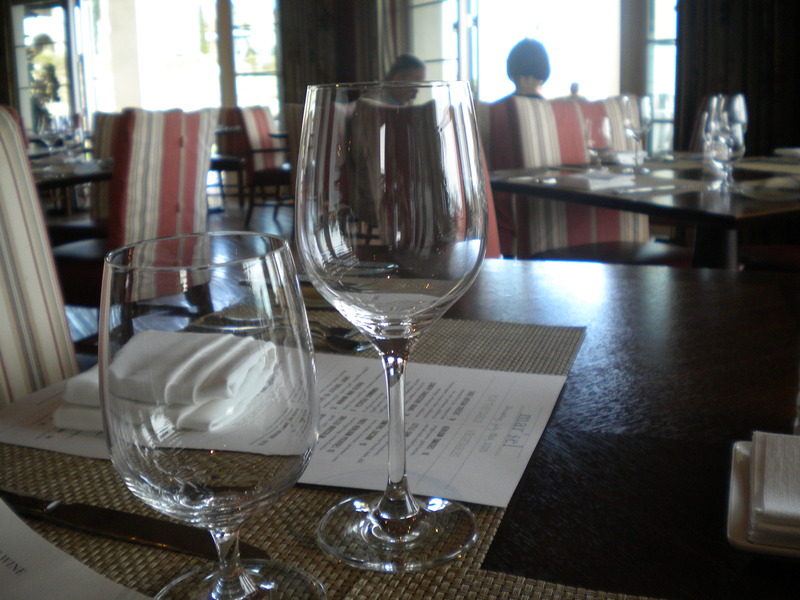 The waiter was courteous, and helpful without being overly eager to please or intruding. The bus boy was so kind looking and sweet, and efficient. I find that niceness, kindness do go a long way in really making someone feel special. 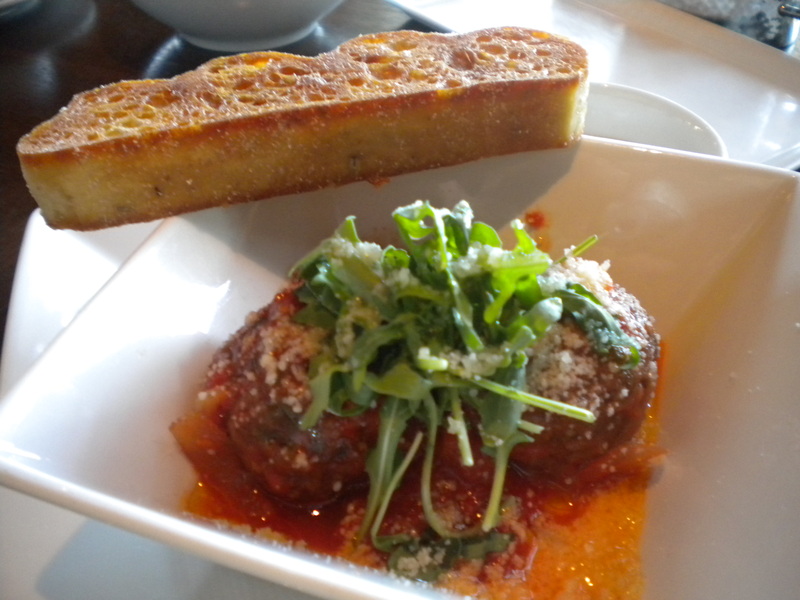 The Food – Enjoyable, satisfying. It was the DineLa that brought us here. We were to choose six plates, including dessert, out of the twelve that were offered. Between the two of us, we had nine different selections (there were 3 duplications). I was relieved that the portion size of each plate was not tiny, as I had not eaten much the whole day to prepare for this dinner. I will mention some of my favorites for the evening. 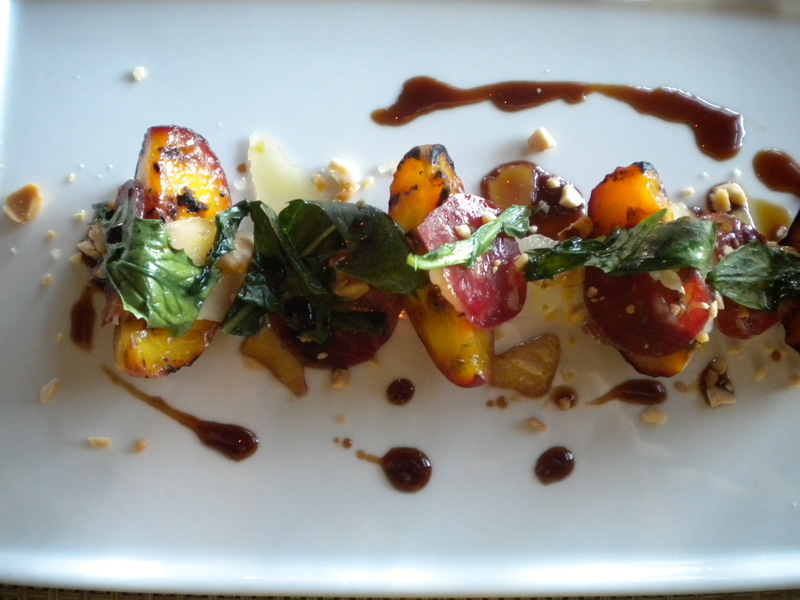 Grilled Sugarlip Peaches – So unexpectedly delicious with the sweetness of the peaches, and the slight saltiness of the duck salami and manchego cheese. The texture was a good combination of the softness of the cooked peaches and the chewiness of the salami. 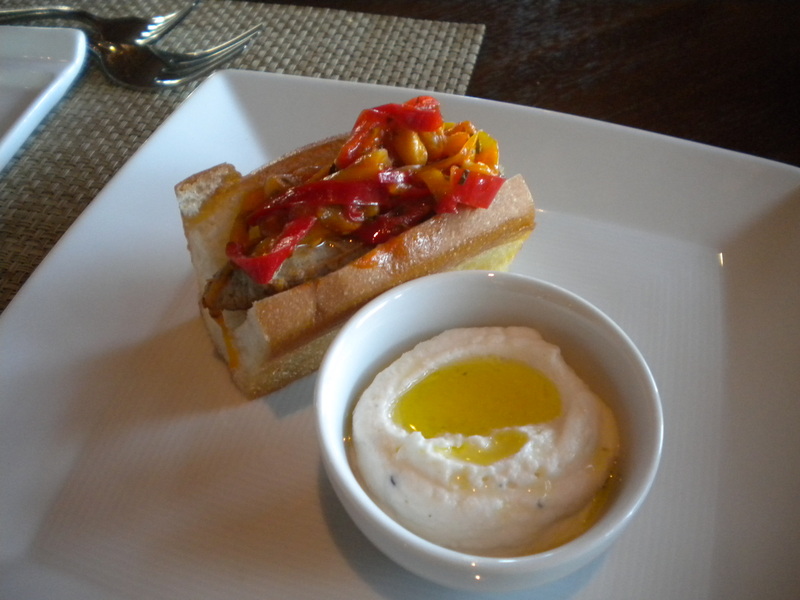 Homemade Italian Sausage – the sausage was exquisitely tender, moist, and full-flavored, served inside a toasted brioche with savory peppers and onions. Grilled Spanish Octopus – Not usually a fan of octopus, but I was surprisingly amazed at how well cooked and soft the octopus was. 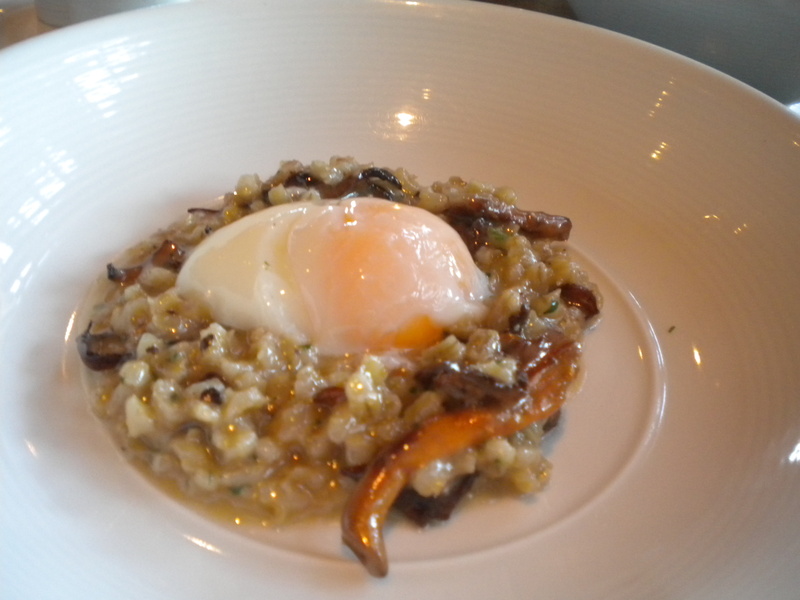 Mushroom and Barley Risotto – The consistencies of the rice with mushroom was ultra rich, creamy, fabulous and smooth, but just a tad too salty. The egg, though, was perfect. The yolk was luscious and still raw, but not runny, went so superbly with the “muffin”. Crudo with Hawaiian Hamachi – the 2 slices of hamachi were and fresh and mild, and the dab of yogurt and the slice of plum enhanced the overall delicate flavor of the fish. 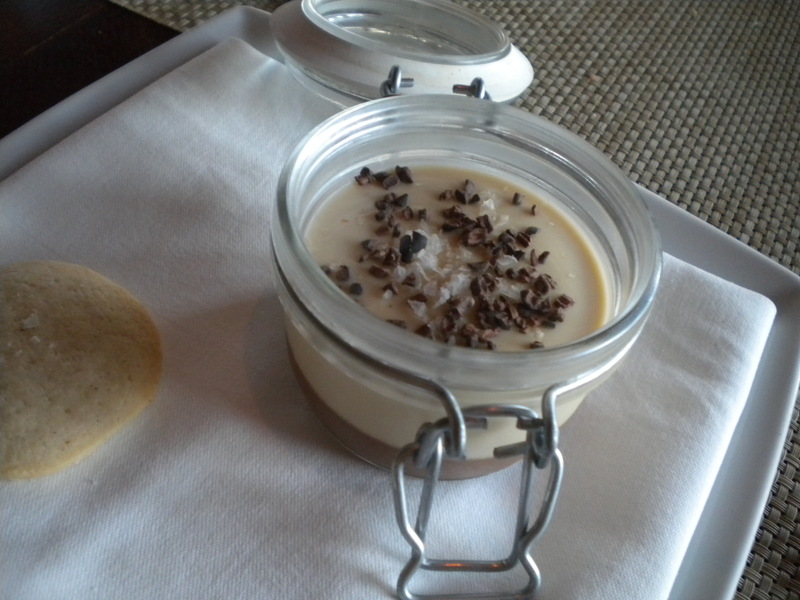 Caramel Pudding – The pudding was served in a small canning jar with lid, with a thin sugar cookie on the side. The layer of the thick luxurious caramel topped with the marvelously dense layer of pudding was sublime. The balance of the flavors was expertly executed with a mix of saltiness from the topping with the velvety semi-sweetness of the pudding.